I am writing to you on behalf of Mark Bender, a husband, father of four, brother, son, cyclist, and friend. Mark lives in Duvall WA and is a very active person in church and community. His four boys keep him and his wife Sarah extremely busy with soccer games and cycling events. 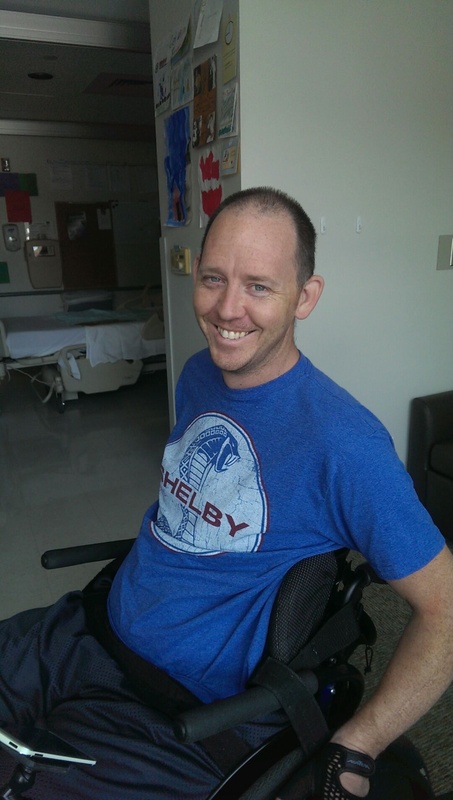 Mark recently suffered a life-changing spinal cord injury when vacationing with his wife in Hawaii. It was their last day before coming home and they were spending some time at the beach. Mark was body surfing and decided to ride one last wave before he was finished for the day. On the last ride in the wave crushed him into the shore break. Mark is now a quadriplegic with a complete C6 injury. He has no use of his legs and limited use of his arms. Mark has spent the last six months in medical and rehab facilities. Mark is from Nebraska (Go Big Red! ), and moved to WA in 1997. He works at HTC in Bellevue, WA. He and Sarah (married 15 years!) have a huge passion for sports, especially cycling. Mark and Sarah ride for a cycling team called Motofish here in WA. Prior to the accident, Mark would race along side his wife and four boys at every cyclocross race in the area. In spite of the many struggles that he faces, Mark remains hopeful that he will be able to have use of his legs once again. His faith, family and friends have been a tremendous support during this challenging time. With an injury like this the expenses are very large. During the first year the average medical bills are over $700,000 and each subsequent year over $100,000. Thankfully Mark and the family have health insurance. However, insurance does not cover everything that is needed. Including his rehab and Pushing Boundaries in Redmond, WA (www.pushing-boundaries.com). This rehab is so important for Mark, as moving his limbs maintains a healthy body and heart. There are many medical expenses that the Bender family faces on top of raising their four amazing boys. A new car with hand controls is also needed; there are days right now when Sarah spends 4+ hours driving everyone around. If Mark were able to drive himself to work and help out with running the boys around this would take much stress off them. Not to mention it is another step closer to gaining independence for Mark which is essential for building his spirit. Each hour a Pushing Boundaries is $80-100 and a new car for Mark could be up to $60,000. To assist with the costs of the car, medical bills and rehab, a fundraising campaign in Markâ€™s honor has been established with HelpHOPELive, a nonprofit organization that has been assisting the transplant community for 30 years. In 2000, they expanded their mission to include those who have sustained a catastrophic injury. All contributions are tax-deductible, are held by HelpHOPELive in the Northwest Spinal Cord Injury Fund, and are administered by HelpHOPELive for injury-related expenses only. Let’s help Mark turn this tragedy into Triumph!! Please consider making a donation. The money that was needed for Mark’s car was raised. Thank you so much to all of those who donated. As of 8/14/14, $17,330 was raised. The car was $16,000. 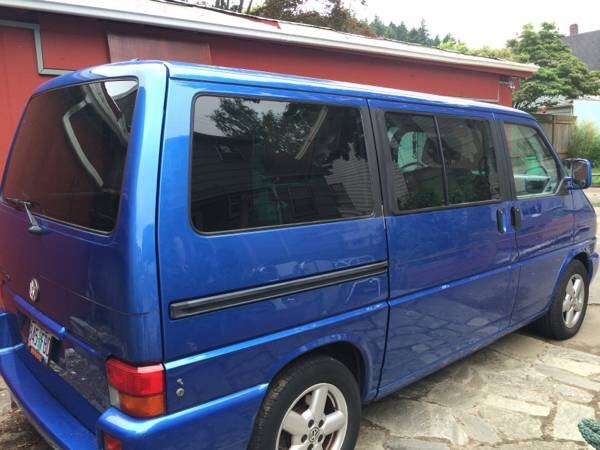 Any amount raised over the price of the car will go towards the modifications needed for the Sprinter. They need to do about $7,000 in modifications so Mark can help with the driving. Right now when the entire family goes out Sarah has to do 100% of the driving. We are so grateful for you all, this car is a game changer for Mark and the family. We need to raise money for Mark’s car!! Mark found the perfect car and will be looking at it on 8-9-14. We need to help because quite frankly they can’t do it on their own! We need 550 people to just give $30 and will be able to purchase this car. Thanks for your help. Love to all. So glad you got your wheels! We love you all! Woo hoo! That's so awesome you guys got the van. Have fun driving Mark! Happy to help. I hope you get it soon! You're going to rock this vehicle! Hoping it is yours very soon. Happy to help Mark! You inspire me! May God continue to bless you and your beautiful family! I'm 'on board'...in honor of my beloved daughter, Debbie DeLight Lawrence, I will make a donation. So excited for the Bender family! I'm so happy to be able to help! LIVE, LIVE, LIVE! Thank you for the influence that you were in my life growing up, Mark and Sarah. Continue to push, Mark, amazing things are in store. Wish I would have been able to give more! Take care and keep your head up! Keep pushing boundaries Mark!!! We are cheering for you and your family for all your amazing goals and hope to help even more in 2014!!!! I was so happy that recently Lois and i were able to visit you. You and Sarah are an inspiration to our entire family. Keep up your positive attitude. I wish we were close by to help with all those leaves and all that laundry with 4 boys ! Love you Mark and you are such a blessing and I thank God you're my big brother :) you have spoken so much into my life and it's words of hope and encouragement I will never forget! I got your back and greater things are yet to come!!! This can't be empty!! :) God completely blessed me with you as a brother. You are so strong, and I am so proud of how far you have come in 7 months. Incredible for sure! Stay strong and keep on walking in His spirit. :). Love ya! !